I recently received some accessories in the mail that I want to share some love to. I’ve been using the Silver Felony Case for my iPhone for the past couple months and I’ve grown really attached to its minimal, chic aesthetic. I added another case to my collection with these Go Nuts iPhone Case by Case Taboo. It’s playful, corky design is great for the spring and summer seasons when I will incorporate more color back into my wardrobe. I’ve also decided to make it a New Years Resolution to hit the gym more frequently for 2016. Playing motivational music is a must for me whenever I work out so having a pair of sturdy earphones is something I really value. Sudio is a lifestyle brand that makes elegant earphones and offers studio quality sound for a third of what they would cost in stores. They’ve created a stylish accessory, like a watch or belt, a brand like Ralph Lauren within earphones. The cord of these Vasa Rose Gold Black Earphones are designed flat, making them more durable and long lasting than regular earphones. It includes a full-feature 3-button remote and mic for both Android and iOS. The sound quality is amazing and you’re able to hear every detail in every instrument and song, giving a unique unforgettable sound experience. My boyfriend habitually works out and he constantly goes through pair after pair of earphones since they get pretty beat up. I think this Vasa Rose Gold Black Earphones would make a great Valentine gift since Valentines is just around the corner. 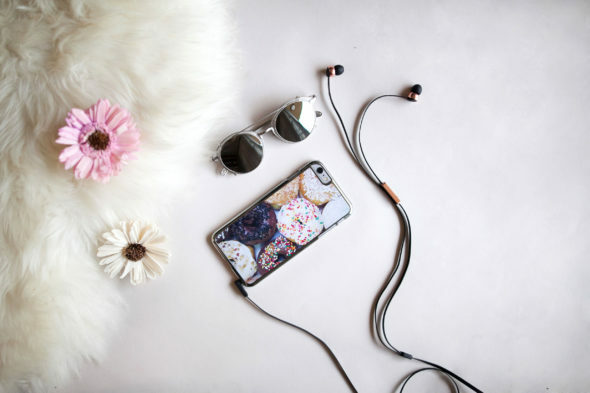 Sudio‘s earphones are stylish and functional, and would make a lovely gift for your significant other. For those of you interested in purchasing, be sure to use my 15% off code for Sudio below. Love your phonecase, nice post! I love this iphone case!! So cute! The Silver Felony Case is amazing!! The case looks so pretty!